Piano Concerto CD (1993)Title: Piano Concerto Genre: General|tbc Format: CD / Album Type: CD No. 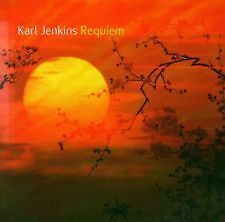 of Discs: 1 disc(s) Studio / Label: Chesky UK Release Date: 31 Dec 1993. The Jazz Chamber Trio CD (2005) NEW Title: The Jazz Chamber Trio Genre: General|tbc Format: CD / Album Type: CD No. of Discs: 1 disc(s) Studio / Label: Chesky UK Release Date: 12 Sep 2005. The John Basile Quartet - The Desmond Project. Title:The John Basile Quartet - The Desmond Project. Artist:The John Basile Quartet. All of our paper waste is recycled within the UK and turned into corrugated cardboard. 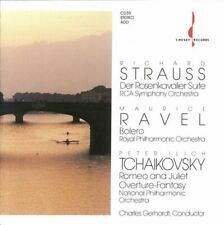 Title: STRAUSS, RAVEL, TCHAIKOVSKY, GERHARDT rca symphony, rpo. Format: CD. Format: CD. We specialise in Rock and Pop CDs. Classic Artists. The Call Of The Faraway Hills. Catalogue Number: CD71. Three Coins In The Fountain. Format: CD. We specialise in Rock and Pop CDs. Classic Artists. Rare Collectables. Preludio No. 1. Release Date: 22/12/2008. Milonga sin Palabras. Suite Op. 2: III. VERY GOOD CONDITION EXCELLENT TO MINT CONDITION OR. ALWAYS INVESTIGATED FULLY . A Quick Sketch. Beautiful Love. My Romance. Artist: Alexander Gibson. Title: A Concert Tour. Format: CD. Catalogue Number: CD62. Artist: National Philharmonic Orch. 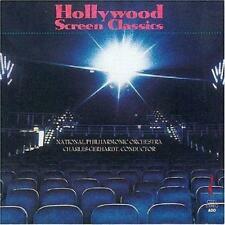 Title: Hollywood Screen Classics. Format: CD. Condition (Sleeve/Disc): New. Born Free . The Call Of The Faraway Hills. Earl Wild : Earl Wild: Doo-Dah Variations/Gershwin: Concerto in F CD (1993)Title: Earl Wild: Doo-Dah Variations/Gershwin: Concerto in F Artist: Earl Wild Genre: Classical|Concerto Format: CD / Album Type: CD No. Concerto In F: I. Allegro. Concerto In F: II. Adagio; Andante Con Moto. Concerto In F: III. Allegro Agitato. Doo-Dah Variations. Rare Chesky The Collection 66 mins Smooth Latin 1993 Sealed MINT USA Stunning! Rare Chesky The Collection 66 mins. Rare and hard to find from the Chesky Recording music series Highest Quality Fidelity. 100%Chesky Bespoke Label Original Recording Early 1st Run! collectable cd pieces that can only gather value as the years go by! SIBELIUS : SYMPHONY No. 2 RARE CHESKY AUDIO COMPACT DISC (CD) : Royal Philharmonic w. Sir John Barbirolli. USA with Canada printing 1986, Cat :CD-3. SEALED CD. 32 years unplayed. Title: Petrouchka. Petrouchka: Burlesque Scenes in Four Tableaux: Tableau I: The Shove-Tide Fair - Beginning. Artist: Ren Leibowitz, John Ringer. Petrouchka: Burlesque Scenes in Four Tableaux: Tableau I: The Shove-Tide Fair - the Crowds. Artist: Ahn Trio. II - Andante sostenuto. I - Allegro non troppo. IV - Allegro troppo e Finale. Piano Trio No. 1 in C minor. Piano Trio in A minor. Title: Paris Rio. Format: CD. Artist: David Chesky. Label: Chesky Records. Title: Salon New York. Format: CD. Condition: New. Sub Genre: Orchestral. Genre: Classical. Release Date: 2008-11-24. Number Of Discs: 1. 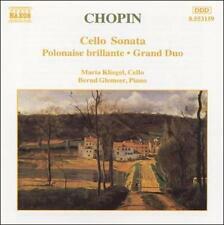 Title: Chesky Classical Collection / Various. Label: Chesky Records. Ave Verum Corpus. I. Allegro: The Four Seasons - Concerto in E Major 'Spring'. Allegro Agitato: Piano Concerto in F. K.380: Sonata in E Major. Title: Urban Concertos (Gergov, Kussmann) [sacd/cd Hybrid]. Format: CD. Condition: New. Sub Genre: Orchestral. Genre: Classical. Title: Symphony 4/Movts Orchestra (3). Symphony No.4 in C Major: III Molto Vivace. Symphony No.4 in C Major: I Allegro Molto Moderato - Passionato. Symphony No.4 in C Major: II Adagio - Piu Lento - Adagio. One Note Samba. The Girl from Ipanema. Concerto For Bassoon And Orchestra. Concerto For Orchestra. Artist: Ransom Wilson, John Ringer. Title: Soldier's Tale. Chesky Records CD81, No IFPI, ED1. Rene Leibowitz conducting Royal Philharmonic Orchestra. Beethoven: Symphonies Nos. 4 & 7. Near Mint (NM): The highest grade for an used record. Cover or box may have minor ring wear but no bends, creases or writing whatsoever;. 2017 release. Inspired by the chaos of his adopted New York City, these virtuosic concertos are a mixture of energy, rhythmic drive and serenity. Like most of his recent work, they combine modern compositional styles with both jazz and reverence to classical forms in Chesky's own unique manner. Artist: Ars Antiqua Austria. Title: 17th Century Music & Dance from the Viennese Court. 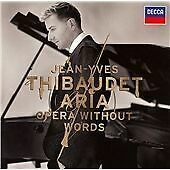 Partita Ex Vienna: Branle de Village, Courante, Sarabande - Brader Tantz Zu Wien, Alio Modo. Balletti a 4 in G Major: I. Sonata: Adagio, Presto, Adagio, Presto, Adagio. Title: Urbanicity. Artist: David Chesky. Label: Chesky Records. Format: CD. Item Condition: New and unplayed. Title: Grabmusik KV 42 / Gallimathias Musicum KV 32. Artist: Gunar Letzbor, W.a. Mozart. Format: CD. Item Condition: New and unplayed. Molto Adagio. Molto Allegro. Ars Antiqua Austria, J.S. 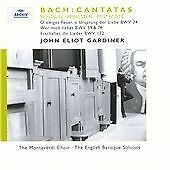 Bach - Four Complete Orchestral Suites [New CD]. Artist: Ars Antiqua Austria, J.S. Bach. Title: Four Complete Orchestral Suites. Format: CD. Item Condition: New and unplayed. Artist: Caspar Richter. Title: Musical Goes Symphonic. Format: CD. Item Condition: New and unplayed. Overture (Act II). I Can Cook, Too. A Simple Song. Artist: Ahn Trio. Piano Trio No. 1 in C minor: II Andante Sosetnuto. Title: Piano Trio #1 / Piano Trio in A minor. Piano Trio No. 1 in C minor: I Allegro Non Troppo. Piano Trio No. 1 in C minor: IV Allegro Troppo E Finale. Stravinsky / Ransom Wilson - Soldier's Tale (Chinese) [New CD]. Artist: Stravinsky / Ransom Wilson. Title: Soldier's Tale (Chinese). Genre: Classical Artists. Format: CD. Title: David Chesky the Agnostic. Label: Chesky Records. Artist: Stephanie Gregory. Sam's Prayer. Format: CD. Item Condition: New and unplayed. X. Death of the Spirit. Artist: Gary Schocker. Title: Plays Bach & Handel. Genre: Classical Artists. Format: CD. Item Condition: New and unplayed. Partita, BWV 1013 in A minor - Sarabande. Partita, BWV 1013 in A minor - Corrente. Title: Dr Chesky's Sensational Fantastic & Simply Amazing. Artist: Dr Chesky. Label: Chesky Records. Dr. Chesky's Shave. Format: CD. This Little Light of Mine. Item Condition: New and unplayed. Dancing Flute & Drum. Artist: Gary Schocker, W.a. Mozart. Title: Flute Quartets. Genre: Classical Composers. Format: CD. Item Condition: New and unplayed. No.4 in a, KV 298: I. Thema- Variations I-IV. No. 3 in C, KV Anh. 171 (285B): II. Artist: David Chesky. Record Label: Chesky Records. Title: Rap Symphony. Genre: Jazz. Nicola Frisardi, W.a. Mozart - Piano Concertos 9 & 27 [New CD]. Artist: Nicola Frisardi, W.a. Mozart. Title: Piano Concertos 9 & 27. Piano Concerto No.27 in B-Flat Major, KV.595: Allegro. Piano Concerto No.9 in E-Flat Major, KV.271: Allegro. Artist: Bruckner Orchester Linz. Title: Essence of Viennese Music. Format: SACD. Overture (Die Fledermaus). Genre: Classical Artists. Release Date: 2004. Lippen Schweigen (Die Lustige Witwe). Tanzen Moecht' Ich (Die Cardasfuerstin). Artist: Igor Kipnis, D. Scarlatti. Title: Virtuoso Scarlatti. Sonata in D minor (K.120). Format: CD. Sonata in a Major (Kirkpatrick 24). Item Condition: New and unplayed. Sonata in G minor (K.30) 'The Cat's Fugue'.